First wave. Second aircraft to attack Möhne Dam. Aircraft hit by flak. Mine dropped late and bounced over dam. Aircraft crashed on far side of dam. Canadian Charles Brennan had been John Hopgood’s regular flight engineer in the latter part of his tour of operations on 106 Squadron, and the pair obviously got on well together. So when Hopgood was putting together a new crew at 617 Squadron he brought Brennan in. Charles Christopher Brennan was born on 22 February 1916 in Calgary, Alberta, Canada and emigrated to the UK in 1928. He was one of the two Canadian-born flight engineers on the Dams Raid, along with Gordon Radcliffe in Joe McCarthy’s crew. He joined the RAF at the outset of the war. After training he worked as ground crew. When the opportunity came for skilled ground crew to qualify as flight engineers for the heavy bombers, he took the chance, like many other enthusiastic young men who were keen to fly. His course at No 4 School of Technical Training at RAF St Athan finished in the early summer of 1942, and he joined 106 Squadron in June. He joined Hopgood’s crew, and flew with him for the first time on 14 August. The following day was his first operation, with a trip to Dusseldorf. He carried on with this crew until Hopgood’s tour ended, the last operation being the attack on the Schneider factory at Le Creusot on 17 October 1942. For some reason, Brennan was not allocated to another crew to finish his tour. Instead, he was posted to 1660 Conversion Unit at Swinderby on 25 November, to train other crews He flew on many training flights between 25 November 1942 and 26 March 1943, usually with Flt Lt R J Churcher DFC as his pilot. When Hopgood was called up by Gibson, he must have contacted Brennan and asked him to rejoin him. As Brennan was only halfway through a tour, he probably thought it a good opportunity to finish it with a pilot he knew and trusted. He was posted to Scampton, and undertook his first training flight with Hopgood on 11 April 1943. One can only wonder as to what conversation passed between Brennan and Hopgood when the young pilot was injured on the fateful journey to the dams. He would have needed all his flight engineering skill to help the pilot keep the aircraft aloft, as one of the engines was damaged and running on reduced revs. Tony Burcher recalls that he was a ‘calm chap’, so also having to hold a handkerchief over Hopgood’s head wound may not have completely fazed him. When they were hit again, as they attacked the Möhne Dam, the pair must have realised that they would never get off the flight deck themselves, and that all they could do was to give as many of their colleagues as possible the chance to escape. They were both remarkable men. 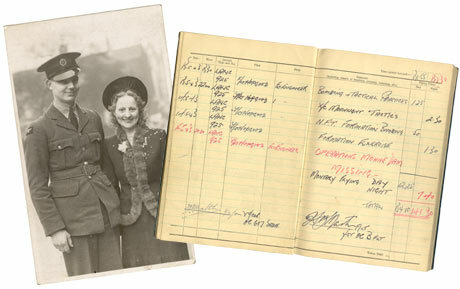 Brennan married Freda Pemberton in Leeds in 1940. He was one of the four men who took part in the Dams Raid when their wives were pregnant. His daughter was born in Otley in October 1943. Hopgood, Brennan, Earnshaw, Minchin and Gregory are buried together in Rheinberg War Cemetery, Germany. 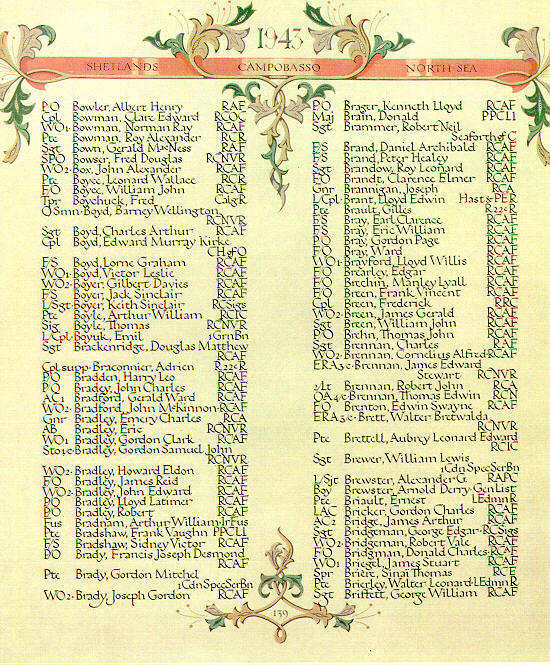 Further information about Charles Brennan and the other 132 men who flew on the Dams Raid can be found in my book The Complete Dambusters, published by History Press in 2018.